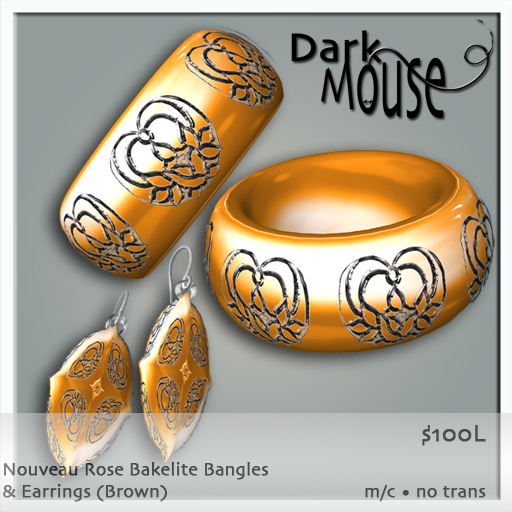 New Jewelry at Dark Mouse! Hello my friends – I do have some more new stuff I’d like to highlight. 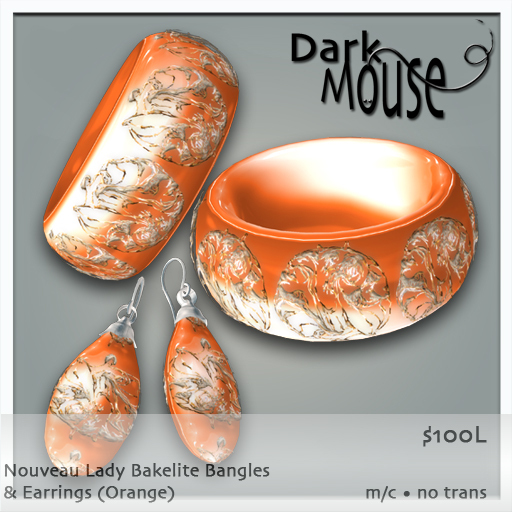 In RL I have a love for all things bakelite, which is basically plastic jewelry! Usually it’s a hard shiny plastic with some kind of embellishment. LOVE IT! If you like to wander around the small vintage shops that usually sell old costume jewelry for a song like I do, you’ll recognize it. 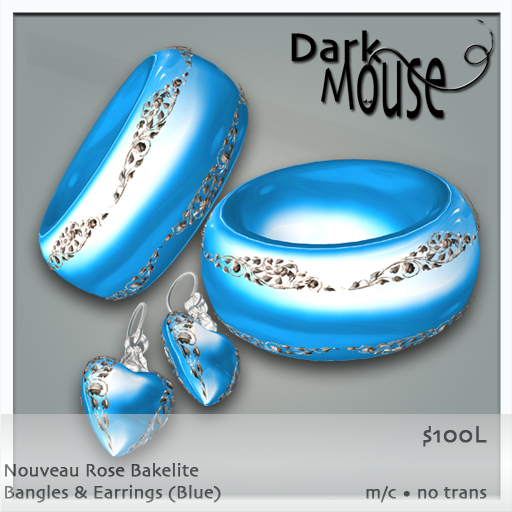 I did some bracelet sets in this manner, using a bakelite bracelet base and then overlaying it with silver metal embellishments. 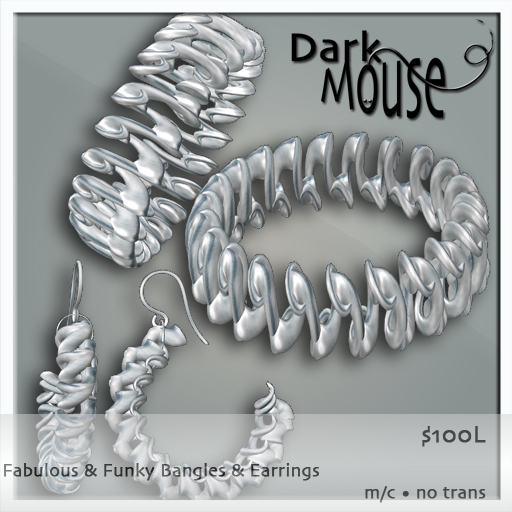 I hope you like them, they truly were fun to make. You can pick them up in the store on the NEW board at the front, or on the 2nd floor where all the accessories are. Hair ornaments can be found on the third floor with hair. Here’s a teleport to the store! 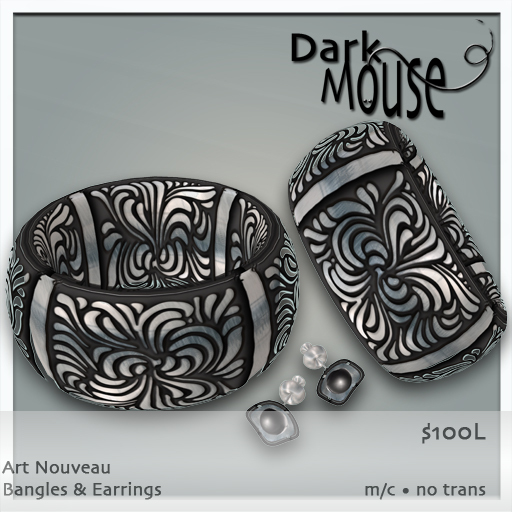 Next Next post: Dark Mouse and Disco Deals!